When it comes to Korean beauty, you will think of many steps to do such as serum, toner, mask and so on. I have to admit that sometimes I am lazy and will not insist on such a long routine. However, there is one step that I will never forget—Moisturizer. Moisturizer is the last step to lock all your skin care properties in your skin. 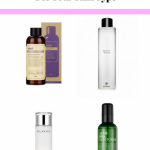 Korean cosmetics companies offer tons of products which include some amazing moisturizers. Hence, I pick up some good ones based on my own and my friends’ experiences. 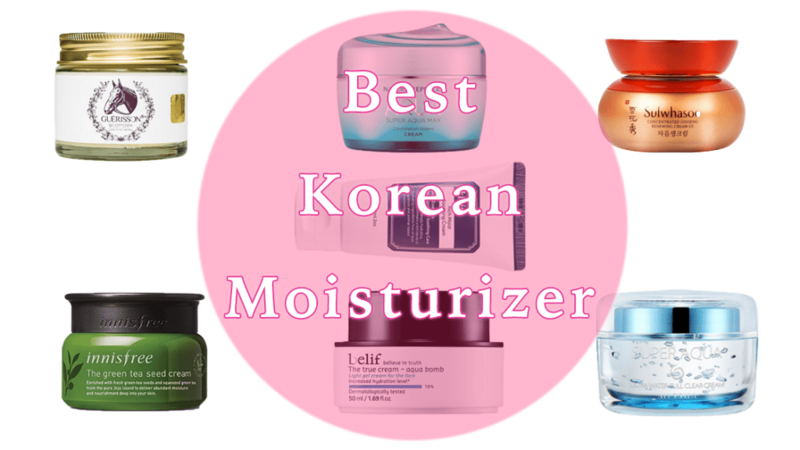 Below is my review of best Korean moisturizers(all skin types included). As you know, I am in the combination skinned camp. The best moisturizer for me should be hydrated and easy to absorb. However, sometimes it is hard to achieve both of them together. I tested a lot of moisturizers and below are my favorites. The name “aqua bomb” is so cute. I like the packaging that is tidy and professional. The texture is between gel and cream with a beautiful sky blue color. The formula here contains Lady’s mantle (neutralize skin-damaging free radicals and minimize pores), oat kernel extract, calendula, ceramides and shea butter. You only need to take a little bit and spread it all over the face then you will get an instantly big gulp of hydrating. 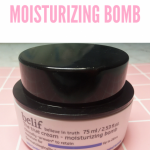 This moisturizer absorbs quickly and it is oil-free. I feel like my face plump up but not get any extra burden on my face. In addition, the formula contains properties to reduce breakout, therefore it is also suitable for people with acne-prone skin. This moisture is so lightweight that you can use it in Summer as well. Nature Republic offers affordable and good skincare products such as its aloe vera gel. This watery cream is another famous product of this brand. The texture is truly watery (between the gel and normal cream) and easy to absorb which leaving my skin moisturized all day long. The feeling is like firm something like silk on the face and it is not heavy duty at all. If you are dry skinned girls, improving and keeping moisture level may be the most crucial thing for you.Therefore I choose the most moisturized cream I and my friends have ever used and list below. Yes, as one of the most famous Korean moisturizers, it is quite expensive. However, you will get what you pay for. My mom and sister like it very much. The most effective property in this one is called ginseng—a kind of herb that proven to improve your skin condition all around. It comes with a creamy texture and has a natural “ginseng” scent. It will make your skin soft and hydrated all day long. Besides, it will brighten your skin tone in a natural way. In fact, other skin type peers can use it as well (especially for 30+)and I often use it when winter comes (Now I live in a very dry district). A very cost-effective cream that you should have a try. For me, it is a little bit too heavy when I apply it in Summer but it is perfect to use in other seasons. If you are dry skinned, I think this one would be a good choice—a lot of my dry skinned friends recommend it. This cream has another name called ” horse oil ” and it is really a byproduct of horse meat (Don’t worry, you will never get any horse smell from it). It is a new popular skin care property in Asian beauty starting from 2014 and famous for its effect on lightening hyperpigmentation, keeping moisture level, reducing the appearance of wrinkles and so on. It is an all-in-one face cream. The packaging of this moisturizer is similar to Hermes and the texture is a little bit firm but can turn to be creamy on put on your hand. Along with horse oil, the ingredients include Sodium Ascorbyl Phosphate, ceramide 3 and Oligopeptides which are beneficial properties for our skin. I really enjoy the smell of it which like the mix of grapefruit and lemon. My face becomes so soft and hydrated after applying it. It really helps to improve and maintain the moisture level of my face.In addition, it is effective in terms of brightening skin. I like to use it in Winter but it will be suitable for you to use in other seasons if you are dry skinned. The moisturizer that is lightweight but still hydrated would be the good choice for people with oily skin. You don’t want your face to be greasy, right? Maybe these two moisturizers would be your favorite. This green tea seed cream belongs to the famous “green tea” line of Innisfree. My girls with oily skin highly recommend it and I like to use it on hot days. The packaging is green which makes me feel natural and elegant. The texture is creamy but lightweight which absorbs so quickly that will not give you an oily finish. It leaves me feeling fresh and hydrated at the same time. The formula here contains green tea leaf extract, green tea seed oil and other natural plant extracts along with refreshing “green tea” smell. However, it is not alcohol-free and please keep in mind. If you want to know more about Innisfree products, you can read this Best and Worst of Innisfree article. Oil-free and gel-type moisturizer, this one is the excellent choice for oily skin peers. The texture is just like the aloe vera gel and makes you feel cool on your face. My sister like to store in refrigerator in order to boost the “cool” feeling. Even though it is lightweight, but it still can provide enough moisture for oily skinned girls. In addition, the formula is safe and mild that will not break you out. If you have sensitive skin, you must pay attention to the formula. Moisturizer which has the good effect but contains simple and safe ingredients would be a great choice. A must-have one for every skin type (maybe not for too oily skin)! 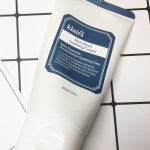 This Klairs cream contains ceramides, beta glucan, and jojoba oil which offer you a huge amount of moisture for your skin. Besides, the formula is quite simple which will not cause any irritation and safe for sensitive skin type. You can use it anywhere you want(for example when you get a sunburn you can put on your body to subside the “burning” feeling) and anytime you want.Read my in-depth review here. 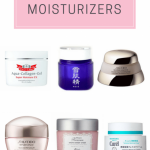 All in All, this is my review of the best Korean moisturizers for different skin types (combination, dry, oily and sensitive). Some products here may apply to a few skin types such as Belif The True Cream Aqua Bomb is popular both in combination skin camp and oily skin camp. This post is based on my own and my friends’ experience and hopes it is helpful.